The setting was 1930s Meraux, Lousiana, now a suburb of New Orleans, then a sprawling rural area with cotton fields and swampland. Ural Thomas — age 3 — his mother and a dozen or so of his siblings and neighbors settle down on their front porch at sundown. “The porch was like our TV, that’s where all the stories were told.” Thomas relates before launching into one such story with a sly grin on his face. “The Greenwood [song was derived] from a story my Mom would tell about experiences from when she was a little girl. The Greenwood was a place that was too wild, where you weren’t allowed to go. Once, my grandfather went into the Greenwood to go hunting, he was gone 3 or 4 days. He hadn’t found anything. He sat on a log to rest and eat, and took his knife out and a block of cheese. He cut off a piece of cheese and he took his knife and he stuck in the log. He ate his lunch and then he pulled the knife out of the log and blood came out. He saw the blood running and he said, “Damn, I never seen no tree bleed.” He followed the tree to it’s end and it turned out to a great big snake, turning with his mouth open. My grandpa was so scared he threw down his rifle and he went running!” Ural clasps his hands as he laughs at the thought. His mother’s stories and memories are a web of cautionary tales, folklore, and regional myths that haunt her son and inspire his writing to this day. “I don’t even know if there is a really place called the Greenwood.” Ural admits, but those were the stories. By middle school, Ural was playing secular music and had a signing group, The Streetcorner Singers with neighborhood kids. By high school Ural was performing with an accapella group called the Monterays. They performed in parks and schools and saved up enough to record their own album. They sang on the weekends and would work during the week. In the early 60s Ural started a tradition that would eventually lead him to where he is now, a standing Sunday morning “open house” and jam session in his North Portland home. Ural invited all the neighborhood kids to his house (still the property he owns today), he would feed them, offer them clothes that he had found at Good Will and cleaned, and he would play music with them. “Those kids were so talented they didn’t have any training, they just had something to say. They had life experiences.” With a few Monterays albums under his belt and a recording of the neighborhood kids singing under the name House of Entertainment, Ural was a central father figure for a troubled Portland neighborhood. 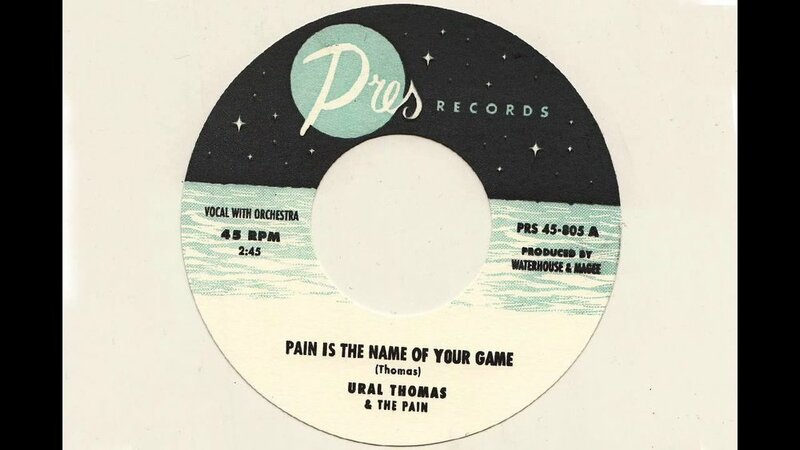 All the recording and performing paid off when a friend took Ural to LA and got him signed with the record label, Uni (a subsidiary of Universal Records). From there he moved to New York where he became a regular opener at The Apollo in Harlem for James Brown, Otis Redding and other soul legends in the 60s and early 70s. “Those were fast times. I would open up the shows. I was living at 12th and Vine and I would walk everywhere. I was there a little over a year.” But just as his star was rising, he made an abrupt move back to Portland. When his home was bulldozed on the lot he still occupies, Ural literally had to rebuild his life in Portland. Using recycled and found materials he painstakingly and lovingly built a new house — with ample space for the neighborhood kids to practice on Sunday after church. Decades later, on one of those Sundays drummer Scott Magee stopped by. Within minutes they were playing music together and Scott quickly learned that this living legend still had the talent, the passion, and the voice he did 50 years previous. Ural has been telling stories with his new band for 6 years now. “It was supposed to be a one night gig,” he smiles. But one show led to another and by 2014 they were named by Willamette Week as Portland’s Best New Band 2014. Now picking up steam, they are playing regular gigs around Portland and even toured back to Ural’s old stomping grounds in New York City. Back on the front porch in Louisiana, his grandfather’s Greenwood memory sparks another story. You can catch a few of Ural Thomas's stories and hear him sing at WeMake Celebrates on October 13th.